What's there to say? This is exactly what you'd expect. It's Elliott Smith and an acoustic guitar, with a few backing vocals thown in every so often. It's a set of songs that didn't get on the proper albums, some because they didn't fit, some because they weren't seen as good enough, some because they were covers and there were probably issues with copyright. There are no revelations here, and no unexpected shocks, good or bad. 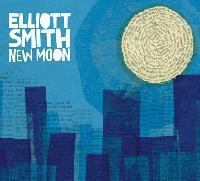 It doesn't throw Elliott Smith's music into a new light, nor is it scraping the barrel. If you like Elliott's other albums, you'll like this. He's certainly done better and probably done worse, but it's two CDs worth of material you probably haven't heard before from somebody who's not around to write any more, so it has its worth for that alone. The two highlights are the Big Star cover, "Thirteen", and the bittersweet "Talking to Mary". I have been listening to this album a lot more and realized how great these songs really are. I will preface this review by saying I preordered this record. I love Elliott Smith's music so much it borders on fanboyish. Having said that I will try and make this as objective as I can. I gave this album a 4, it is a B sides/unreleased compilation and I gave it a 4. This alone makes you wonder about my bias attitude. I must say though that as this type of album goes, this one is great. To start, Angel in the snow is almost worth the price of the record. It is such a beautiful song, delicate and soft. A simple vocal/guitar setup, a not so simple progression. I am not going to go into the rest of the songs individually, I don't really have the time and I planned this to be a place holder for a real review by a real writer. I will say though that unreleased track albums are really for fans only. If you bought this or are even thinking about it then you probably own the rest of his records. This being the case then you are looking for more, as much as you can find because what is there is not enough. Well since thats what your looking for thats what you get, if these were the best tracks he ever recorded then they would have been on one of his albums, so take them for what they are. I dare say though that a borderline throwaway Elliott Smith track is far better than most of the singles being put out by other artists.